I would like to receive occasional information and updates from Anna's Marathon Fundraiser for GOSH and jumblebee. I am holding an online auction to coincide with my "Oh My GOSH Charity Ball" on 3rd March! Please take a look and bid as much as you can for the amazing Great Ormond Street Childrens Charity! All proceeds will be allocated to The Amelia Gallagher Brighter Future Fund, in memory of my daughter. A 7 day loan of a luxury 4/6 berth top of the range Motorhome courtesy of Marquis Motorhomes. Marquis are one of the UK’s leading motorhome retailers and the successful bidder will be able to collect the vehicle from any one of the 12 Marquis sites nationwide. They will be given a full 1 hour handover introduction to ensure they can maximise the use of the vehicle during the loan period. This package would normally cost in excess of £750. Terms and conditions are attached in the winners pack. Around of golf at Blairgowrie for 4 people. Blairgowrie GC in Perthshire has hosted a number of major golf events over the years including the junior Ryder Cup between USA and Europe’s finest young golfers in 2014. There are 2 fantastic championship. courses to choose from and the winning bidders are in for a real treat. 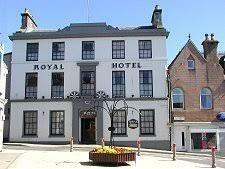 The prize also includes accommodation with 2 twin rooms provided free for 4 people at the Royal Hotel in Blairgowrie. This package is worth over £400. 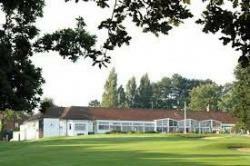 Around of golf for 4 people at South Herts Golf club in Hertfordshire. South Herts is regarded as one of the finest courses in Hertfordshire and has a reputation as a very welcoming club. The Vardon designed course is a fantastic challenge to any golfer and the 4 successful participants are in for a real treat. The normal price for this package is £240. 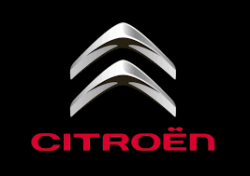 A 7 day loan of any vehicle in the Peugeot or Citroen range of models. Both brands boast an extensive range of vehicles including a very impressive number of large SUV’s and award winning people carriers. Ideal for a family holidaying in the UK. Terms and Conditions apply and the successful bidder will have to provide comprehensive insurance for the loan period. Normal price for this item is £300. A Smartnav navigation system professionally installed anywhere in the UK. 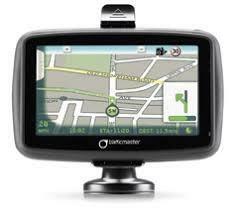 Smartnav is a unique device with many additional benefits to normal navigation systems. The successful bidder will enjoy the use of the unique (PA) Personal Assistant service where they can call for any assistance or to request navigation routes 24/7/365. The package also includes speed camera warning alerts, Stolen vehicle tracking, access to Emergency and Breakdown services. All services will be provided for 3 years as part of the prize. Normal cost for this package is over £1000. There is a reserve of £200 on this item. 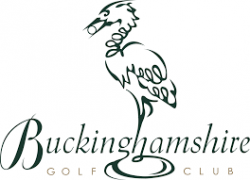 A round of golf for 4 people at the prestigious Buckinghamshire Golf Club near Denham North London. Regarded as one of the UK’s top golf courses and responsible for hosting some of Europe’s leading tournaments over the past 10 years. The successful bidders will enjoy a round on the beautiful and challenging championship course courtesy of Thames materials Ltd. This package would normally cost over £500. 2 VIP tickets to Wembley on the 17th of March in a private box to watch the Tottenham Hotspur versus Newcastle. You will be hosted by the box owners and the package includes lunch and drinks through the afternoon. 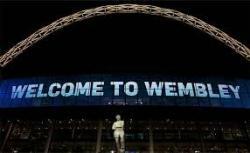 Wembley corporate is regarded as one of the best in the world so the successful bidder is in for a massive treat. Normal cost for this is around £500 pounds. There is a reserve of £150 on this item. A round of golf for 4 people at Woburn golf club. Woburn in Bedfordshire boasts 3 of the best courses in Europe all now ranked in this year’s top 100 European courses to play list. Woburn has hosted some of Europe’s top professional ranked pro tournaments and a day on any of these spectacular 3 courses is a real treat. This package would normally cost £800. There is a reserve of £250 on this item.